Organized to meet the needs of teachers, the revised edition puts even more emphasis on the natural stages that children move through in their journey to becoming writers. 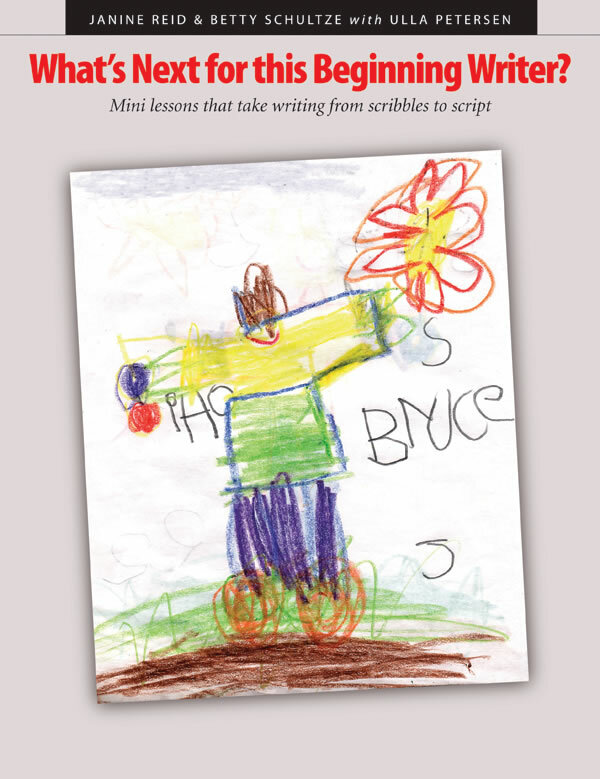 Based on the work of real K–2 students, What's Next for This Beginning Writer shows teachers how to interpret student work, identify what they know, and build naturally on the writing strengths their work displays. A series of Writing Workshop lessons shows teachers how to talk with students to celebrate their work, extend their learning, and set goals for their next piece of writing. Organized to meet the needs of teachers, the revised edition puts even more emphasis on the natural stages that children move through in their journey to becoming writers. Based on the work of real K–2 students, What's Next for This Beginning Writer shows teachers how to interpret student work, identify what they know, and build naturally on the writing strengths their work displays. A series of Writing Workshop lessons shows teachers how to talk with students to celebrate their work, extend their learning, and set goals for their next piece of writing. This comprehensive book includes mini-lessons that build on the student's work, group and whole-class activities, student samples, tips for keeping parents informed, and a list of recommended children's books. "Like other idealists of my generation, I became a teacher to make the world a better place," says Janine. "I love making a difference for kids. I love helping them recognize their strength and potential as learners. I love it when a class becomes a community of learners and inquirers. Betty can't remember a time when she didn't want to be a teacher. "I wanted to have a big red pen and mark papers when I was in third grade, and when I was a young adult I knew that working with children would make me happy—and it has!